Fibromyalgia (FM or FMS) is a chronic condition characterized by widespread body aches and multiple tender points, where even slight pressure can cause pain. The tender points are commonly found on the back of the head, the side of the breastbone, shoulders, elbows, knees, and hips. Other symptoms associated with fibromyalgia include fatigue, irritable bowel syndrome (diarrhea alternating with constipation), headaches, facial and jaw pain, numbness, tingling in the hands and feet, and dizziness. Mental and emotional symptoms are frequently linked with fibromyalgia. These include depression, anxiety, mood changes, difficulty with concentration, forgetfulness, and irritability. While fibromyalgia is associated with characteristic symptoms, it is a condition that is misunderstood because symptoms often mimic the symptoms of other disorders and there are no laboratory tests or x-rays that can be used to diagnose fibromyalgia. Too often, patients are told after tests by their doctors that nothing is wrong. Other conditions must be ruled out before fibromyalgia can be diagnosed. The American College of Rheumatology has developed guidelines for the diagnosis of fibromyalgia: widespread aching pain must be present for at least three months and tender points must be exhibited. However, there continues to be significant debate over essential diagnostic criteria. Injury or trauma, particularly to the upper spinal region, can trigger the development of fibromyalgia. This is also a region prone to whiplash and other soft-tissue injuries after a traffic collision. For those suffering from fibromyalgia, it is speculated that repeated nerve stimulation can cause an abnormal increase in the chemicals in the brain that signal pain. It occurs more often in women and those in early and middle adulthood. Fibromyalgia can be a disabling condition that interferes with one’s ability to function at work and at home. It has been recognized as a diagnosable disorder by both the National Institutes of Health and the America College of Rheumatology. A 2005 study published by the National Institutes of Health determined motor vehicle trauma may trigger fibromyalgia. A 2011 study conducted by the McKnight Brain Institute at the University of Florida, found that neck trauma increased the risk of developing fibromyalgia. Fibromyalgia's difficult diagnosis and varying symptoms make it a target of insurance companies. Like whiplash and other soft-tissue injuries, suffers can expect a fight from insurers determined to avoid paying for treatment and care. Experienced legal help for suffers can be critical because the long-term prognosis does little to promise improvement. In fact, while fibromyalgia is neither degenerative nor fatal, chronic pain is pervasive and persistent and most patients do not report an improvement of symptoms over time. Treatment for fibromyalgia is multifaceted. Pain management consists of Tylenol, Aleve, and Motrin, and antidepressants are used to improve mood, improve the quality of sleep, and relax muscles. Lyrica, an anti-seizure medication, is the first drug approved by the Food and Drug Administration to specifically treat fibromyalgia. Local injection of steroids into tender points has proved helpful. Additionally, stress reduction is important and includes relaxation techniques, biofeedback, and/or psychological support. A low impact aerobic exercise program consisting of swimming, cycling, and biking, in addition to a healthy lifestyle, are also significant aspects of treatment. The preceding is not legal or medical advice and does not take the place of a professional consultation with a trained lawyer or physician. If you think you have been hurt, please seek a medical attention. 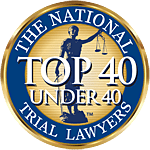 If you think you might need the help of an attorney, please contact a qualified professional like those at Associates and Bruce L. Scheiner, Attorneys for the Injured.